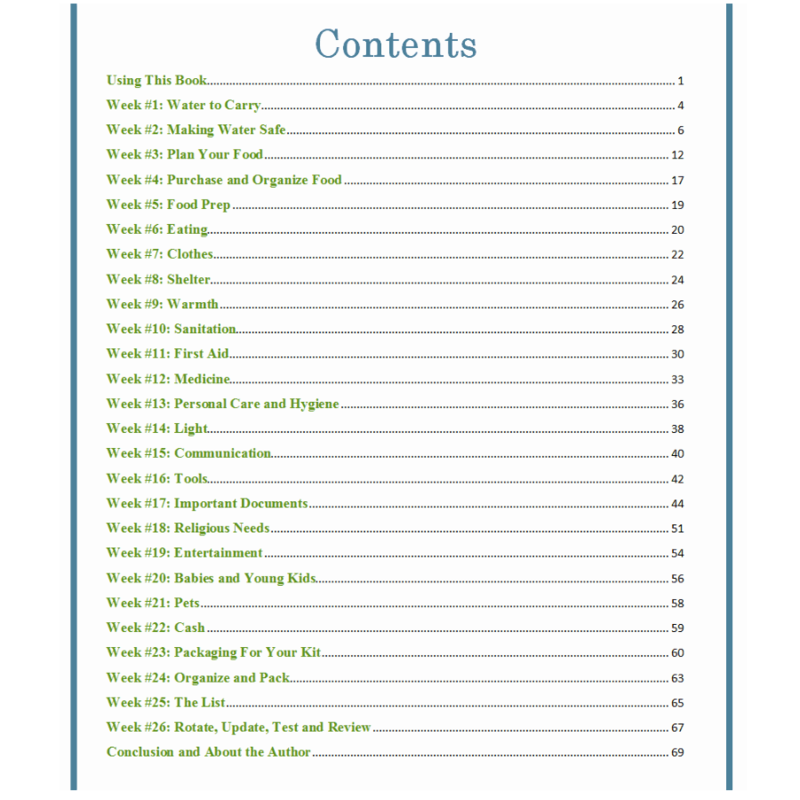 This eBook makes it simple to build a 72 hour kit for your family by breaking the process down into simple weekly steps. This is an eBook. 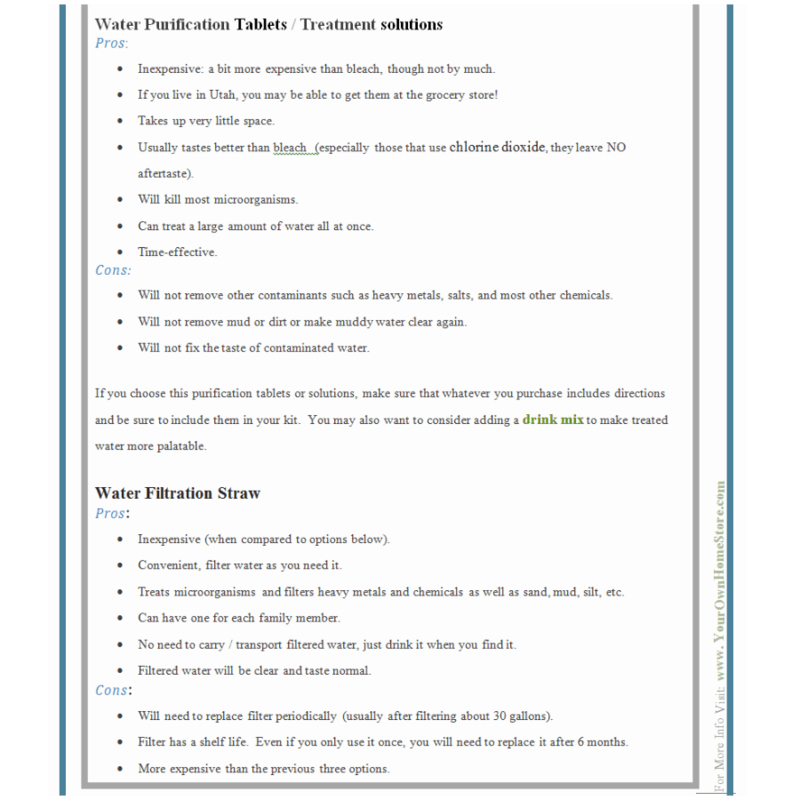 After purchasing, you will be able to download it (up to three times for personal use on different devices as needed). You can also print it once for personal use if desired. 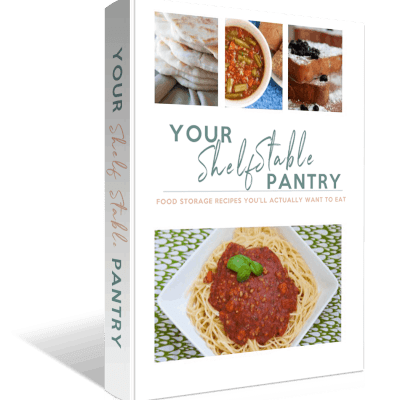 This book takes the cost and time required to create a 72 hour kit and breaks it down into 26 do-able steps. If you work on just one each week you will have a fully customized, robust kit in just 6 months. Want to finish your kit sooner than that? Simply work on two or more steps each week! 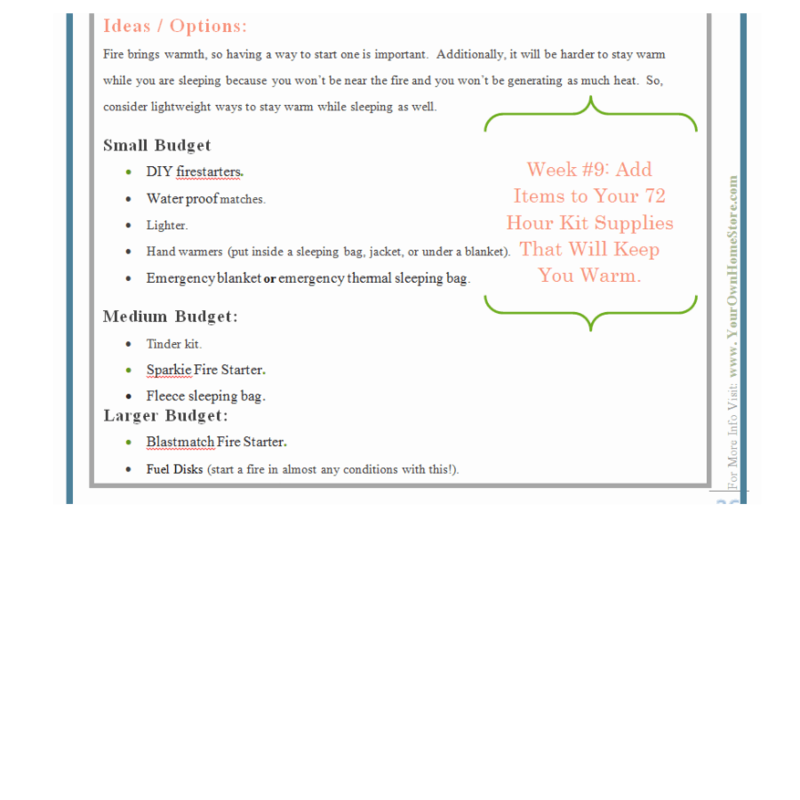 Each step / chapter includes options for different budgets and individual needs. You will be able to print various forms, ID kits, checklists and more. And at the end of each chapter, see pictures of what our family has included in our kit (and learn why). 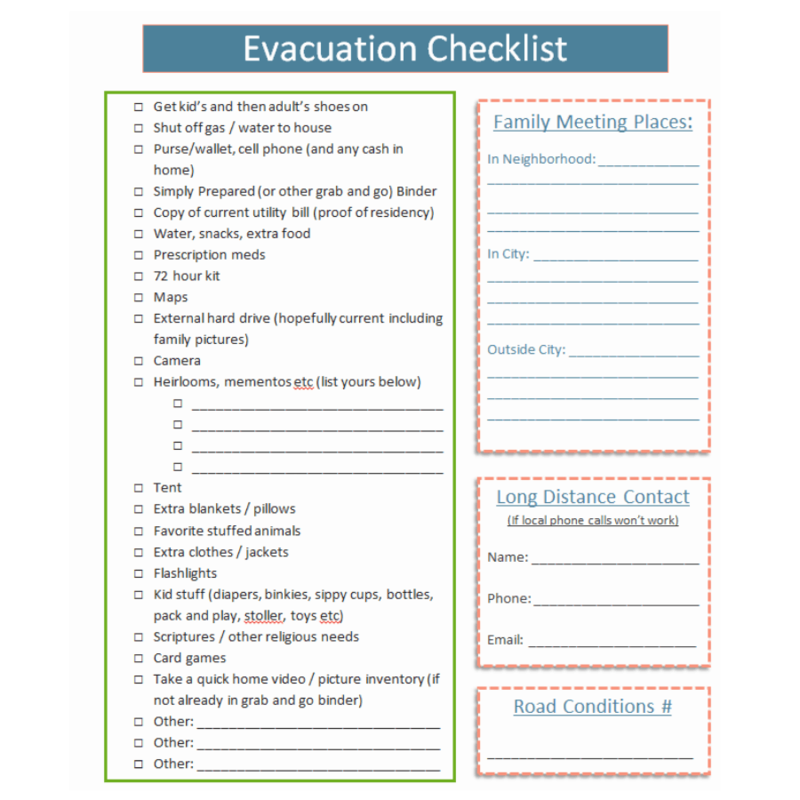 As a mom, I get what it feels like to want to be prepared, but not know where to start. It is overwhelming! When my twins boys were born in late 2007, I didn’t have a clue about how to really provide for our family and be self-reliant. I was scared that I wouldn’t be able to take care of those adorable little boys in a tough situation. So, I started studying up on emergency preparedness. I found a lot of info, and much of it was overwhelming. But I’ve learned that it doesn’t have to be overwhelming or stressful if you take it just one step at a time. This book does that: it provides a simple step by step system anyone can succeed at. 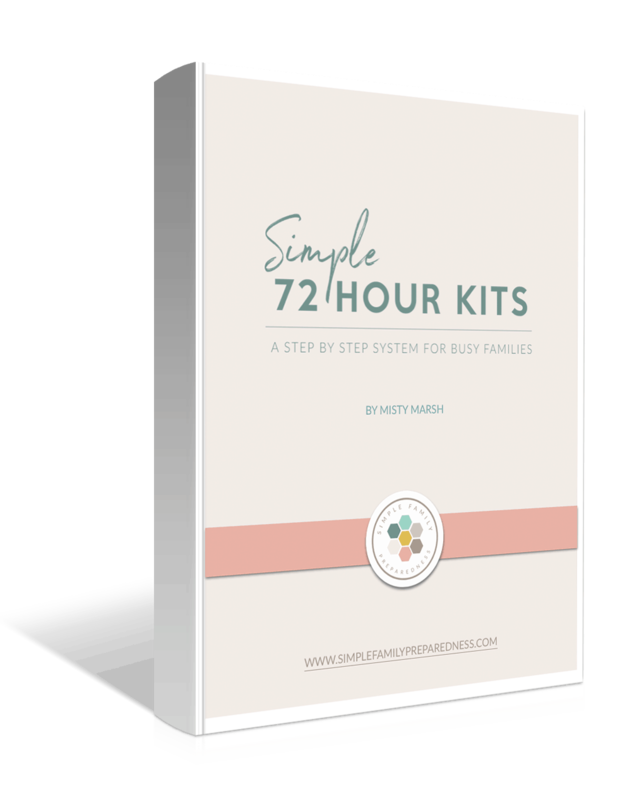 In this e-book, I’ve used my passion for e-prep, organization skills and years of experience to create a simple system for building a 72 hour kit for your family. You won’t break the bank and you won’t overload your life with stress. You will be better prepared to provide for your own and have more peace of mind! Hi! I’m just getting started building my 72 hour kits and your book has been incredibly helpful! I’ve been meaning to do this for awhile (think YEARS haha), but I never knew how to get started. 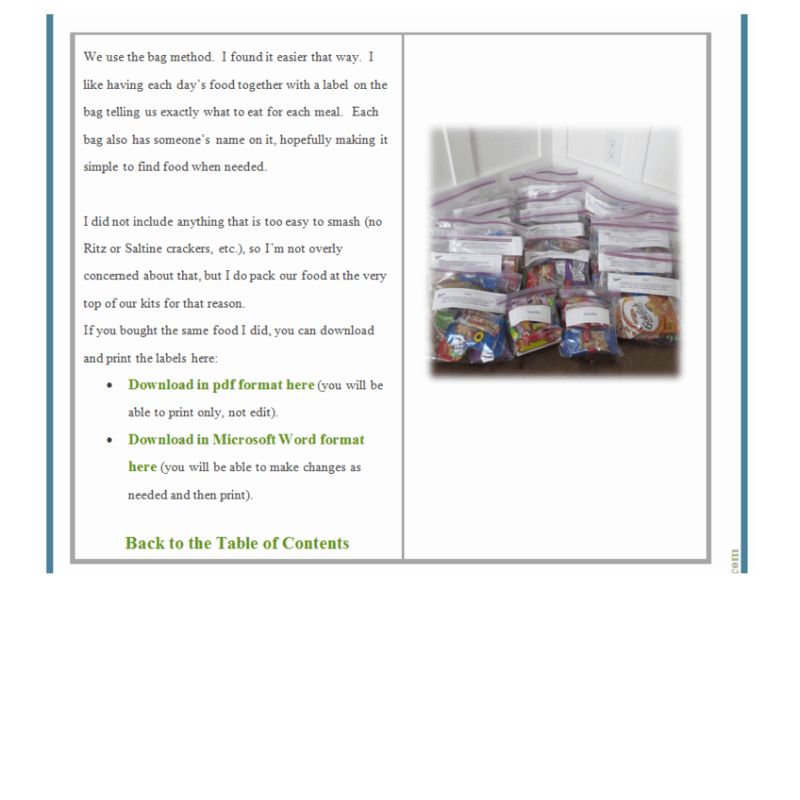 Your book has made it foolproof! I’m now on week 7 and I already feel so much more prepared! LOVE this! 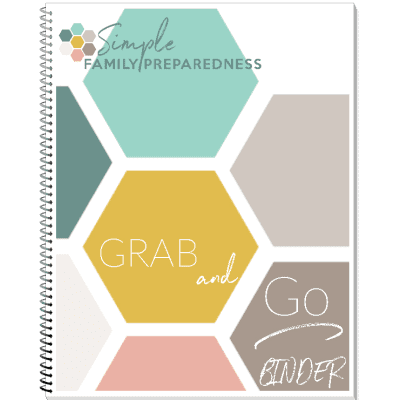 I’ve been trying to team up with my mom for quite a while to get our family prepared! I’m thinking that since everything is already laid our for us…WE CAN DO IT! !